Cast: Im Su Jung and Gong Yoo. 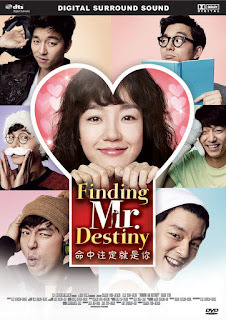 Han Gi Joon (Gong Yoo) is an uptight, righteously honest and somewhat of a neat freak. Being fired from his job as an travel agent, he opens his own business: and agency that finds first loves. Seo Ji Woo (Im Su Jung) is an unrecognized director for a famous theater, and workaholic. When her boyfriend proposes to her she refuses, mainly because of her first love she met in India, and whom she can’t forget. Angered, her military father drags her to Gi Joons agency, so that she can either get over her first love or get married to him. At first Ji Woo refuses, but as time passes and she accepts, and together they set out to find Kim Jong Wook, Ji Woos first love, and love for the last 10 years. Honestly, the cast is great and the couple has superb chemistry, but somehow, I don’t know, didn’t really love the storyline. The story is flat, and the couple screen time is reduced to what I would call ‘Friendship time’, meaning they seem more like friends than lovers or whatever. The story I think is really easy to figure out (even someone like me who never does could do it) and it was very typical. I almost gave up on the movie at the beginning because it doesnt as I like to say "catch you" right away. Its something I would watch if I've got nothing better to do, or too lazy hah,. I mean I wouldnt call it bad. It just didnt really have that much happening its as if there was too little going on, its just about them looking for her first love and so on. There isnt much,.. if I may say,, passion. Its just regular. But I still watched it and that means its watchable because I give up straight away if its not.